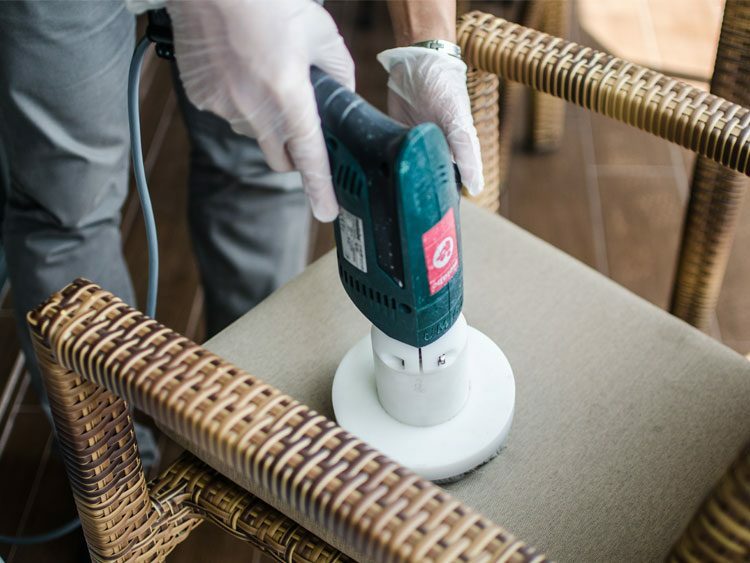 De Hygienique’s upholstery cleaning treatment in Singapore clean dining chairs using chemical safe upholstery cleaning shampoo and state of the art dry cleaning technology without causing damage to the upholstery. Food stains on dining chairs are unsightly and can be a breeding ground for bacteria if remaining food residue is not removed thoroughly. Besides food stains, body grease / sweat and other airborne particles are also common culprits that cause dining chairs to look dull and dirty. Stains caused by food need to be removed immediately to prevent permanent staining on the fabric or leather. After stains are lightened, you may wish to engage professionals to ensure the dining chairs are thoroughly cleaned and refreshed. De Hygienique’s dining chair cleaning treatment uses chemical safe cleaning products and state of the art upholstery cleaning technology to ensure gentle and safe upholstery cleaning treatment for dining chair. De Hygienique is using European made fabric upholstery dry cleaning technology, which cleans fabric upholstery without the need to apply large volume of fluid into the dining chair like other conventional upholstery cleaning methods. This unique dry cleaning technology allows fabric upholstery to dry at least 5X faster than typical upholstery shampooing treatment in the market. With short drying time, you will not experience down time and also eliminate the prevalence water mark on the fabric after the cleaning treatment. Totally convenient! Because your fabric dining chairs will not be wet during De Hygienique’s dining chair cleaning treatment, the fabric upholstery will not be damaged or shrink after cleaning treatment is completed. Our thorough dining chair cleaning treatment is equipped with a range of chemical safe cleaning products to clean and remove stains. For food stains, it is highly recommended to remove fresh stains on dining seat as soon as possible to increase the chance of removing stains. * Note: De Hygienique cannot guarantee total stain removal as stain removal depend on type of stains (e.g. curry, oil, pen mark, etc), age of stain on the upholstery, type of stain removal product previously used to remove the stain, etc. How Does De Hygienique Clean Dining Chairs? Fabric dining chairs would initially be vacuumed to remove dust and dirt particles trapped within the dining seat. Stains would then be treated with De Hygienique’s stain removal solutions before the dining seats undergo shampooing process. 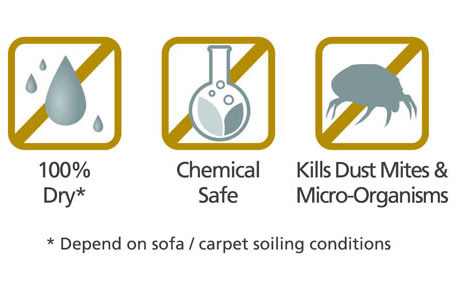 To top it off, De Hygienique also sanitise the cleaned upholstery set to eliminate micro organism like dust mites, mould, and bacteria for a holistic and thorough hygiene treatment. Leather dining chairs would be shampooed using De Hygienique’s leather upholstery cleaning tool. After leather upholstery is thoroughly cleaned, the dining chair will be moisturized with our unique leather moisturizer that is made of natural oil to prevent leather from cracking. Most allergy sufferers are sensitive to dust mites and dust.